Covomo tackles the sales inefficiencies of the €11bn product insurance market in Germany with our insurance-as-a-service distribution platform, which already won over 2.000 B2B partnerships. As of today, Covomo integrated 85% of the German broker market and sells over 1.500 insurance tariffs. Our premium volume grew to more than €1m. Additionally, we've just launched our own product fabric (Managing General Agent - MGA) "covr.it" (www.covr.it ) focusing on electronic, mobility and pet insurance. Simon is Founder and MD of Covomo and is responsible for Sales, Product Development and Investor Relations. Simon is a serial entrepreneur in the Insurtech space. Additionally he sits in the jury of the FintechGermany Awards. 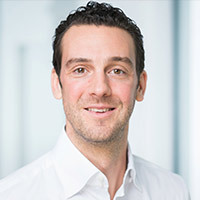 Simon graduated from WHU – Otto Beisheim School of Management in 2002.